REDONDO BEACH -- Rolling into the second week of March, the premier invitational in the Southern Section is the Redondo Nike Track Festival. In its ninth season, the invite has become an early season primer for some of California's best as is the case, once again, this weekend! As has been the case in recent years, this is the most competitive meet in California at this point in the season. While the best distance programs in the state grace the oval in the distance relays on Friday evening, the sprinters take over the spotlight the following day. With the winter rain providing a reprieve this weekend, expect great conditions for the athletes and spectators! Beginning with Friday night, Great Oak allows their thoroughbreds loose for the first time this season, albeit in the relays. As was the case in 2018, the Wolfpack left with several national leading marks in the relays. Between the 4x800 and Distance Medley Relay -- most of the top 10 marks, thus far, in California will come on the Redondo track this Friday night. In the girls' 4x800, Great Oak will allow their best to play, as they ended the 2018 season as No. 1 in California and No. 11 in the United States. Currently, Redondo Union is the top team in the state with their 9:23.54 clocking from last weekend. Palisades Charter has also impressed this early season. Great Oak easily captured the 2018 competition with a 9:20.11 performance. They left the 2018 season as the top team in California with a mark of 9:03.31. Moving to the boys, Loyola has already raised eyebrows with their 7:52.94 statewide best performance from two weekends ago. Great Oak captured the Winter Championships with an 8:02.91 while Redondo Union and Golden Valley have already eclipsed 8:10 this Spring. In 2018, Loyola went on to run 7:40.67, claiming the top spot in California while rolling to the sixth best time in the United States. Loyola returns three of those four legs in 2019! 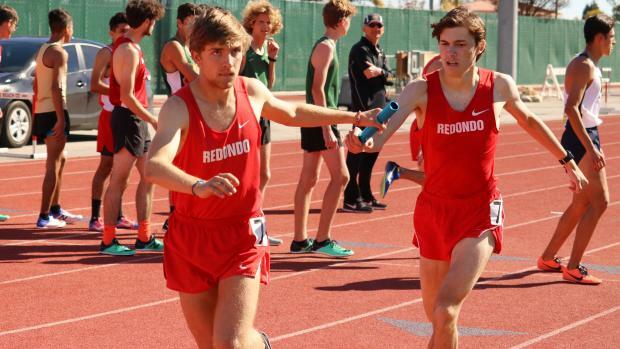 Sandwiched between the relays, Redondo has serves as Southern California's first glimpse at an invite that possesses incredible depth for the 3200 meters. 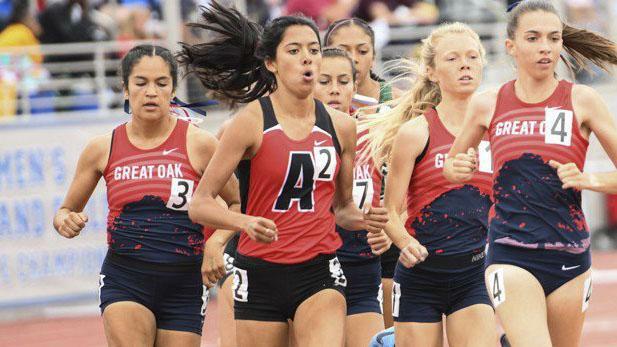 Last year, six girls (all underclassmen) dipped below 11 minutes, with Ayala's Mikaela Ramirez ran away from the Oak Park duo of Sarah Shulze and Sylvia Cruz-Albrecht over the last two laps to record a breakout 10:35.07 victory. Both ladies from Oak Park are back (both went 10:47 crossing together). As Cruz-Albrecht (10:18.74 best) did not finish her cross country season due to injury, we anticipate her return back to competition and work her way back to the State Meet (3200 in 2017, and the 1600 in 2018). Shulze (10:25.23 best) went on to capture the Division 3 title in this event while eventually finishing 14th at the State Meet in 2018. We also expect Mayfield's Audrey Suarez to join the party up front, after her Division 4 State title in cross country, along with qualifying as a Footlocker National finalist. While her specialty in track tends to be the 800 and 1600, Suarez also holds a personal best of 10:29.58. Meanwhile, Westlake's Rebecca Shultz is already off to a great season (5:06.14 last weekend), as she looks to flirt with her 10:51.48 personal best from the 2018 postseason. Other standouts for the girls 3200 include Audrey Dang of Great Oak, who was a Division 1 finalist a year ago with a 10:53.71 best. Freshman superstar, Emma Hadley of Canyon of Anaheim is coming in off an incredible cross country season, where she ninth at the Division 2 California State Championships. The boys' field in 2018 was as deep as ever, with 14 boys eclipsing the 9:30 barrier. But three of the top five times (including the top time) came in the second fastest heat as the conservative opening mile of the fastest heat derailed them from breaking 9:20. With the top six all being seniors, junior Isaiah Galindo of Clovis North is the top returner. Crossing with a 9:25.56 a year ago, he went on to take ninth at the Californian State Meet as a sophomore with a best of 9:05.80. But, Long Beach Poly's William Frankenfeld makes his 2019 debut in the 3200 after coming off the Division 1 cross country title and ready to approach his 9:09.18 personal best. Frankenfeld dilivered the goods last weekend with a 4:15 anchor leg in their national leading Distance Medley Relay squad! The West Ranch duo of Evan Bates and Isaiah Seidman were two of the top underclassmen a year ago. Seidman roared to a 9:09.65 best at the 2018 Masters Meet while Bates cruised to a 9:19.54 best at the 2018 Division 2 finals. They, of course, were the foundation of one of the best cross Country units in the nation in 2018. Golden Valley's Daniel Rush just missed her personal best of 9:27.46 last weekend while also watch for Crescenta Valley's Manan Vats and Dylan Wilbur. Ayala's Andrew Martinez also comes in with an incredible resume that includes a 4:12.34 and 9:18.69! 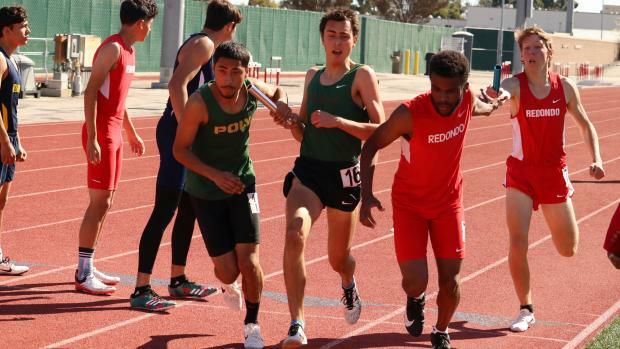 The Redondo Track Festival forgoes the 4x1600 so that squads may focus more on the just the two distance relays. The Friday night session concludes with the Distance Medley Relays. On the girls' side, the 2018 action featured Great Oak outdistancing a tough Saugus squad, 12:03.64 to 12:14.81. Great Oak is back and looks to flirt with that 12-minute benchmark once again. They ended the 2018 season with the third-best mark in California, but the sixth best performance (11:53.83) in the United States. Claremont, Palos Verdes will challenge but watch for Redondo Union, who currently holds the second best time in the state (12:36.97) and sixth best in the country. Expect Great Oak to be the new national leader when they cross the line though. Concluding Friday's festivities, Great Oak will be bringing their best. The national leader, Long Beach Poly (10:15.11) is slated, but with Frankenfeld competing in the 3200, it's unsure if the Jackrabbits will have their 'A' team present. West Ranch, who is fourth in the country, will also put their top names in the 3200 meters and will forgo this one. Meanwhile, Roosevelt will bring their best team forward. It will be a huge task for Great Oak to eclipse that national leading time but they are heavy favorites. Last year, it went down to the wire between Roosevelt and Great Oak, with the former prevailing, 10:33.31 to 10:33.56! Seven squads overall broke 10:45.